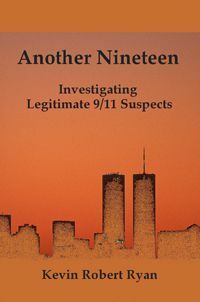 With the support of victims’ families and leading 9/11 researchers, Another Nineteen looks at who was in position to accomplish major elements of the crimes that have yet be explained. Detailed evidence is presented that reveals how each of the alternative suspects had the means, motive and opportunity to accomplish one or more aspects of the 9/11 attacks. Starting with what should have happened that did not, and what should not have happened that did, Another Nineteen reveals that certain powerful people had the means, motive and opportunity to make 9/11 happen exactly as it did. Those people represented private networks and government programs that came together in surprising ways on 9/11. For more information and updates, visit http://www.another19.com.